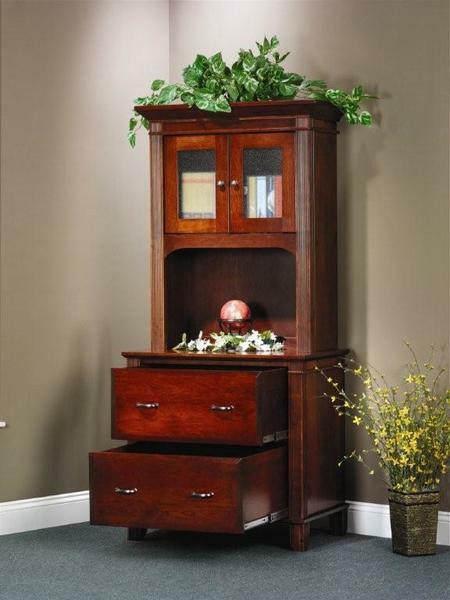 Accent your office with this premium handcrafted Arlington Executive Lateral File Cabinet with Hutch Top. Its narrow and tall design makes it a great space saving cabinet that utilizes the vertical wall space for storage rather than horizontal floor space. With two large lateral file drawers on the bottom you won't have to worry about a lack of organizational space for your important documents. Give us a call at 866-272-6773 for additional information or ordering assistance.